Following the aesthetic traditions of our great civilizations is not all we achieve. Traditional craftsmanship using modern Stone Floor Tile Installation techniques form the cornerstone of our vision. The quality seen in our work fulfills the aspirations of craftsman and client alike. Whatever your requirements from a traditional look to a contemporary feel, we will deliver your project to your specifications, so that you can enjoy your new space in confidence for years to come. Using modern installation techniques we are able to accommodate all types of requirements whether it be a wet room on a suspended floor, an unheated swimming pool or a contemporary finish on a heated screed, we can help to create your vision. Inquiries are welcome, please contact for further details. 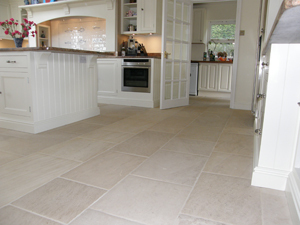 Whilst I am based in Hampshire, most days you will find me installing luxurious stone flooring, walls, paving, swimming pool surrounds, kitchens, hallways, wine cellars and wetrooms any where from Cuckfeild in West Sussex to Devizes in Wiltshire, delivering exceptional standards to each and every project. Making the process as simple as possible, client satisfaction is my commitment. Please find a selection of some of the towns and cities where we’ve installed beautiful stone flooring over the years below, if you would like to discuss you project, what ever your requirement’s, please feel free to get in touch.